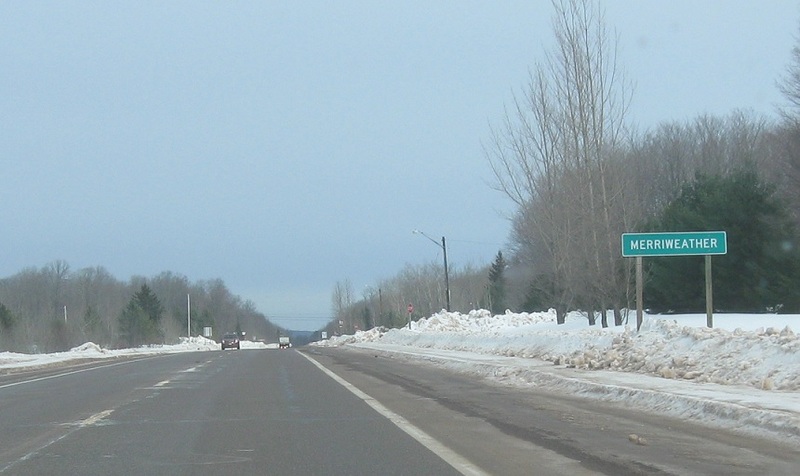 Reassurance shield as M-64 joins M-28. Less than a mile later, we’ll enter unincorporated Merriweather. A mile past Merriweather, we’ll enter unincorporated Bergland. 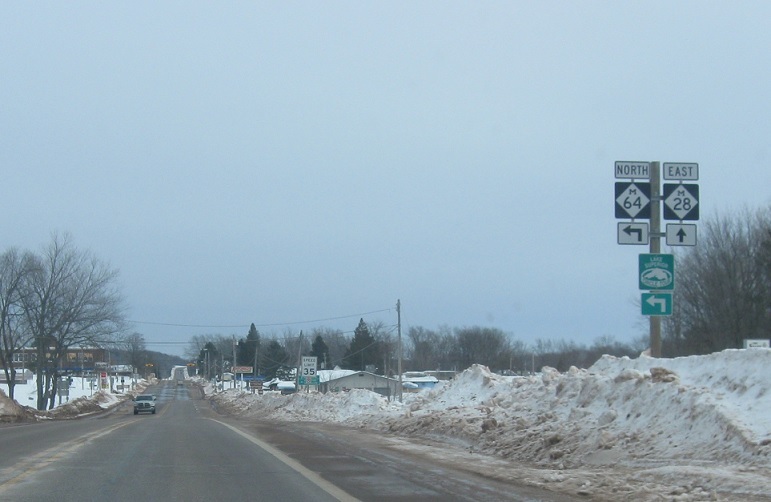 On the west side of downtown Bergland, M-64 will split. 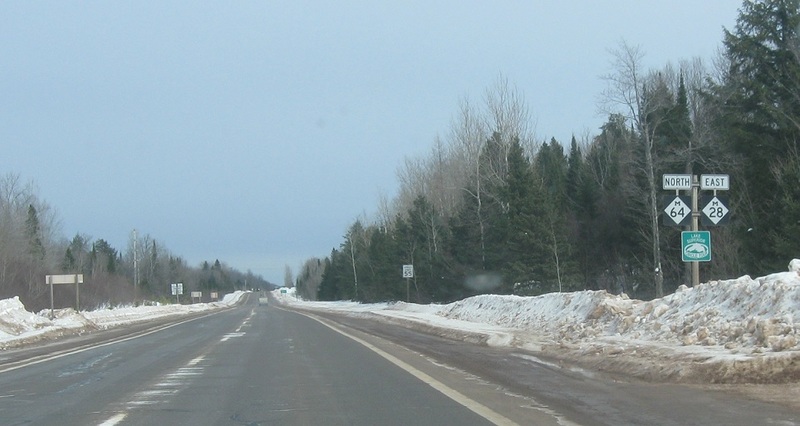 Turn left ahead for M-64 north, which takes the Lake Superior Circle Tour with it. 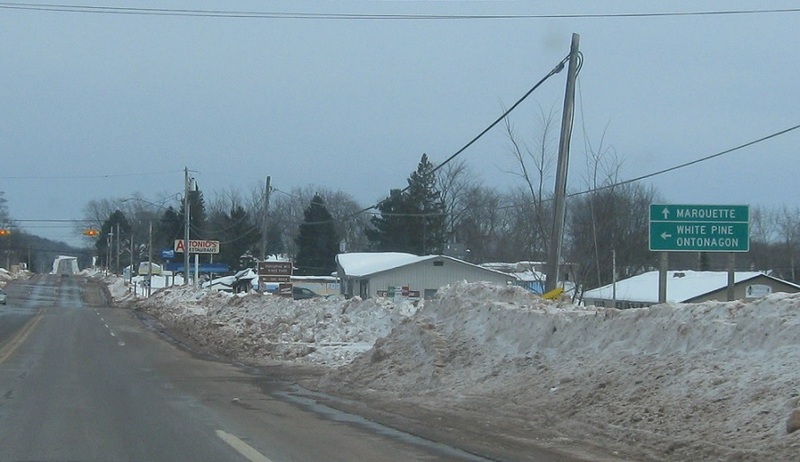 Stay on M-28 for Marquette. 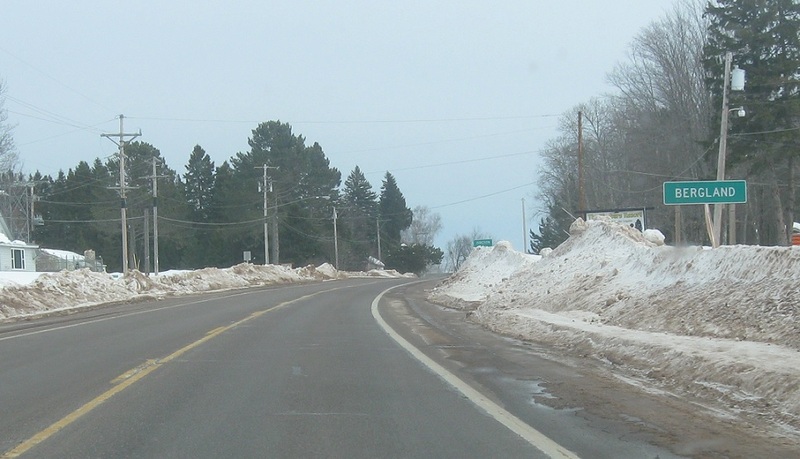 Follow M-64 north to White Pine and Ontonagon.